We are so pleased to excerpt Chapter 7 from ANIMAL DANCES by Jim Saunders. This is Jim’s first novel and it is creating quite a buzz. 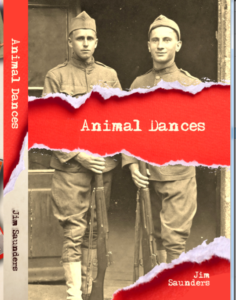 By blending the eyewitness accounts of letters with historical fiction, ANIMAL DANCES creates an engaging story of a young man conscripted into war, who discovers an unknown capacity to be bold and decisive, while enduring unimaginable hardship. Before the war, he and Fannie cavorted carefree and rebellious with indecent abandon to the ragtime beat of the Animal Dances. That is a distant memory now as Harry struggles to survive the devastation of the Western Front while driving a wagon carrying a lethal cargo. Back home, his family grapples with a killing flu, and Fannie seeks to ease her fear that he will not come home. Surviving the searing yellow gas, Harry returns to find nothing the same, and only his war buddies save him from horrible memories. As life passes, he asks if it could have been different. This is a WWI story beyond the trenches, where men toil in constant danger, in a conflict that will impact them for a lifetime. degrees in Experimental Psychology from Connecticut College and Sensory Psychology from Princeton University. Faculty appointments were held at Monash University in Australia and the University of Pennsylvania in Philadelphia. 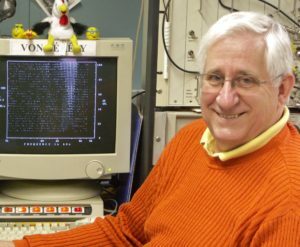 His career was recognized with the Claude Pepper Award for outstanding research from the National Institutes on Deafness and other Communication Disorders, the Christian R. and Mary F. Lindback Distinguished Teaching Award from the University of Pennsylvania, and the Dean’s award for outstanding Leadership in the School of Medicine. His scientific efforts were directed to studying the biological mechanisms of normal hearing and hearing loss. He continues to lecture on the topic of Hearing Loss in the Elderly and is active on the Board of Trustees of the Hearing Loss Association of America. An avid fisherman, kayaker, stamp collector, and world traveler, he relishes in telling of his adventures. The families of his two sons and their three granddaughters enrich his life. He lives with his wife Elaine, of fifty years, in a 106 year-old house in the Philadelphia suburbs. Setting the scene: Harry Edwards (the hero in the book) and his best friend, Steven Hughes, have volunteered for ‘Nest Duty’ during the Atlantic crossing of the troop carrier, Tenadores. The crow’s nest was a steel plate, welded onto the fore and aft mast, about 30 feet above the deck. They climbed a ladder on the side of the mast and sat on the plate, backs leaning against the shaft of the mast. They were secured by a safety harness around their waist that was and clipped onto brackets welded to the mast. They also could wedge their boots against small metal pieces welded to the surface of the plate. This allowed them to push their backs against the shaft of the mast, further securing them. Their job was to use eyes and binoculars to scan the sea for any signs of submarines (periscope wake, flash of light at night, etc.). They communicated with the ships bridge via a push button and buzzer, using signal codes. This particular watch duty began just before sunset and would last four hours before relief arrived. After watch they could get coffee from the mess hall. Early June, 1918; West of Portugal on board the Tenadores. Although we were never threatened by submarines, there was one short-lived event off the coast of Portugal that scared the daylights out of everyone. It started innocently enough on June 8th when Hughes and I drew the evening watch on the aft mast. We ascended the ladder and inched our way onto the plate that formed the crows nest. The Tenadores was running with the wind and the seas were calm. The mast rocked in the gentlest manner. I reveled in the semi-tropical warmth as we steamed toward nightfall. In the fading light I watched soldiers mill about on the deck below. They seemed distant, detached from the reality that defined Hughes and I on this small piece of metal. From my lofty throne I felt like the exalted ruler of those below me. The white wake stretched out behind the ship, creating the only blemish on a greenish-blue ocean whose tint ever deepened in the dimming light. Troop carriers, freighters, and destroyer escorts were visible in the distance. Out beyond the convoy, the ocean’s far horizon formed a circle around us with the sky bright to the west, in the direction of the setting sun. When my gaze rotated to the east, the sky darkened toward the oncoming night. Distant lightning danced in puffy clouds. I marveled at the scene around me, with its gorgeous changing colors. It held a poignant beauty, yet the vast expanse before me was humbling. I felt small and insignificant against its grandeur. “Hey, tell the bridge we’re here,” Hughes said to me. I flexed around and pushed the button five times. Five buzzes came back. “Look there,” I said, pointing to the northwest. The darkness settled around us and the flashes of distant lightning streaking across distant clouds was more obvious. It was far ahead of us and slightly to the port. I counted seconds till thunder rose, but no rumble came across the sea. “I don’t hear anything. Must be a long way off,” said Hughes. The Tenadores continued to roll in the Atlantic swells as she steamed forward, and the gentle sway of the nest relaxed and soothed us. Hughes and I scanned the sea for submarines and time passed. The sky grew black revealing a canopy of stars that painted a glow across the heavens. The flashes drew nearer. A bolt suddenly escaped through the clouds to the northwest. Our heads snapped in its direction. “Hey, that’s closer.” I said. “Sure as hell is,” Hughes replied, as a low rumble passed through the nest half a minute later. “A bit more exciting ‘eh,” I said. A shaft of blinding light suddenly stretched in a torturous path from the heavens to the sea. The brilliant stroke lit the sky, releasing frightening tendrils that radiated overhead from the main bolt. I began counting, “One, two, three, four, five,” at six, thunder roared. In the darkness I reassured my foothold on the plate and wedged my back against the mast. Before I could answer a burst of shouting came from below. “Everyone, back to your bunks, right now. Get moving. This is not a drill,” yelled an unseen voice. I heard rapid shuffling as men jammed the stairwells and heavy metal doors slammed shut. A moment later only the wind and more frequent thunder rolls filled the air. Abruptly, the buzzer blared three paired pulses, paused and repeated the sequence, paused and repeated a third time; the ‘Warning’ signal. Hughes and I instinctively tugged on our safety belts and pushed our bodies against the mast. “What’s all that commotion about?” asked Hughes. 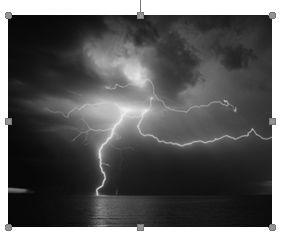 The night protected me, for I’d have been terrified if there were enough light to see the wall of water pushed by a malevolent swirling black cloud at the front of the squall line. Moments later the Tenadores plowed headlong into the maelstrom. The bow, awash in ten feet of water, thrust upward as the giant wave rolled under the ship. The mast shook and my back crushed against the shaft as we crested the mound of water. Just as quick the bow settled into the trough behind, causing the mast to jerk forward sharply. I’d have been catapulted into space were it not for the belt. My hands thrashed about to grasp a hand grip, but missed as the ship rolled into the trough of the next wave. The safety belt held, and when the bow rose again, I slammed back against the shaft with an impact that drove the air from my lungs. Gasping, I found a grip and struggled to hold tight. “Hold on!” I yelled back, not knowing what else to say. The ship struggled to change course as the wind drove rain drops, like tiny darts, into my exposed face. I ducked, tried to shield myself. It didn’t help. Droplets forced themselves under my tunic, drenching my shirt. The demonic lightning flashes consumed me with terror, and the thunder claps were so deafening I felt them slam into my chest. My grasp on the grips now so tight my finger nails sliced into the skin of my palms. Hughes and I were clinging precariously to life as the tempest grew. In a response of madness that showed complete separation from rational thought, I forced every ounce of breath from my lungs in a fruitless cry. “Stop this!” I yelled. My voice, absorbed in the swirling vortex assured that no one heard, no one answered, and no one cared. His legs tossed outward as he clung to the grips. The nest jerked back just in time, and a flash of lightning revealed the broken bracket and unconnected clip. The next flash made visible the look of panic on Hughes’ face, as he desperately sought to secure his hold. A moment later the ship rocked back and his body slammed against mine. He screamed: “EDWARDS, GRAB ME.” I clutched at his jacket. One end of Hughes’ safety belt still held, and when the mast rocked forward again, I pulled hard on him. Guided by the lightning flashes, my hand lunged for the intact clip bouncing at the end of his belt. Hughes saw what was happening and with all his strength pulled himself tighter to the mast, as I snapped his clip to my bracket. “The bracket broke,” I shouted. The two of us clutched at the grips as the storm raged. The squall passed as suddenly as it had begun. The tumultuous sea calmed and the nest, as if by a miracle, returned to its gentle sway. The violent shifts and their sudden cessation churned our stomachs, and we both leaned over the edge of the plate and retched. Our “technicolor yawns” plopped onto the wet deck below. Out of the dark I heard the buzzer signal from the bridge asking if we were still there. Hughes reached around and coded the “Acknowledge” reply. Thirty-five minutes later the relief crew came up the ladder. Still unnerved, Hughes grunted, and finding the ladder rungs, disappeared into the black. I followed. With unsteady steps we crept along the railing to the mess hall. In the darkness, just before entering, Hughes reached out and gripped my shoulder. I closed the door to the galley behind me and stepped through a slit in the curtain. The coffee smelled especially good and I felt invigorated. Surviving that wild ride and keeping my friend safe seemed like fate had tested me. I had acquitted myself well and a new sense of confidence surged in my blood. The destroyers broke contact with the convoy on the morning of June 9th as troop carriers and supply ships entered the mouth of the Gironde River. Particles of silt leached from the plains of Aquitaine colored the river chocolate-brown. A deeper ruddy tint emerged when the flow of the Dordogne, draining the ancient French landscape to the east, joined the flow. Tidal action, strong currents, and the narrowing gauge of the river made the 105 kilometer trip up-river tricky. By 0500 on the morning of June 10th the four cargo ships tied-up at the port of Bassens. The troop carriers continued upstream another seven kilometers and docked along the quay of Bordeaux. The finest wines in the world, for centuries, had journeyed forth from this ancient Roman port. Now the finest blood of America arrived at the same place. Harry Edwards’s life had undergone more changes and adventure in the last month than in all his twenty-one years, but he couldn’t anticipate in his wildest imagination what lay ahead. This looks really good, Donna. The excerpt had me on the edge of my seat.